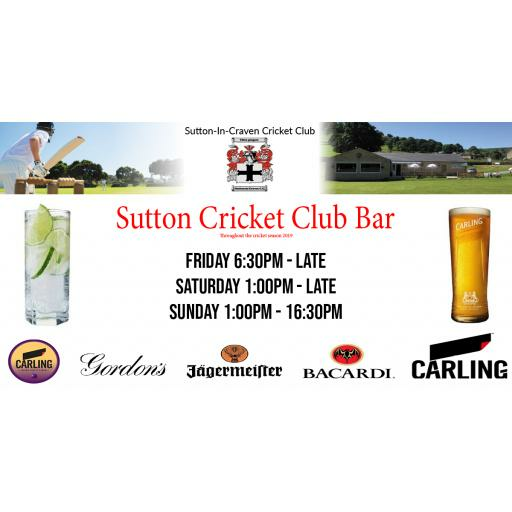 It's that time of year again, the summer is here and we are opening our doors again for you all to enjoy a drink down at the home of Sutton In Craven Cricket Club. This year we will not be having a social membership, This means that everyone that comes through our doors can enjoy a drink at the same price as everyone else. We will be open every Friday, Saturday and Sunday throughout the cricket season starting from the 26th of April 2019. We look forward to seeing you throughout the summer!